The Little Black Dress or LBD has always been a part of every girl’s wardrobe ever since Coco Chanel introduced black as a timeless fashion color. What’s so nice about LBD’s is you can have a very simple styled one that you can wear over again, which brings me to my point that once you get a hold of something that fits you just right, grab a hold of it. It sure is going to last you a long way. I should know, I still have my first ever LBD and it’s so many years old and has never gone out of style. And yet I can never find one in a store when I need one! I totally luv my LBD and I am a very curvy 50 something so they work for everyone!! Yes!!! 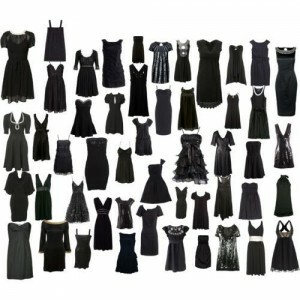 I find it hard to search for the perfect black dress whenever I want to buy one…!! !